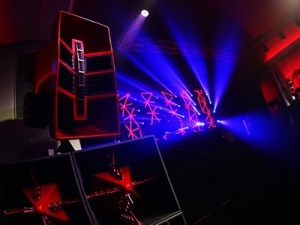 Do you want your chosen venue to become a captivating spectacle of light and sound? Of course you do. That’s why you’re thinking of working with Twisted Audio. Our inventory contains a huge range of sound, lighting, special effects, staging and rigging equipment, and we know how to use it to the most dazzling effect. 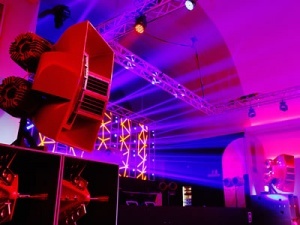 Because we only put our faith in tried and tested brands, your event will always be powered by big names like Pioneer, Technics, Powersoft, Void Acoustics, Martin Professional and Chauvet. When you need a particular piece of equipment and we don’t already have it in stock, we’ll make it our business to get it for you. At Twisted Audio we understand that you need the right support if you’re to create a memorable experience for your guests, delegates or festival-goers. Not only can we help you bring to life the sounds and effects in your imagination, we’ll do it with a minimum of stress and fuss. Just give us some idea of what you want to achieve and we’ll help you make it happen on time, in complete safety and within your budget. You can rest assured that our innovative approach to sound, lighting, staging and special effects is backed by unparalleled technical knowledge, contacts and experience. Our team knows what it’s like to plan an event, and we’ll support you wherever and whenever you need us. We’ve been adding our unique creative twist to festivals and events of every description for over twenty years. It would be our pleasure to help you turn your event–be it a product launch, school prom, corporate away day, public or private festival–into an unforgettable occasion, just as we’ve already done for hundreds of our clients and their guests. Best of all, we love what we do. You will, too. Get in touch here to turn your festival or event into an unforgettable experience.